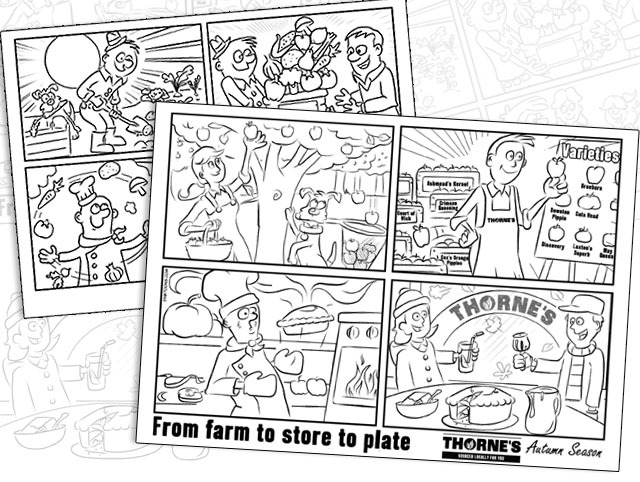 This year I had the pleasure of being commissioned to produce kids colouring sheets for Thorne’s Foods to use in their restaurant. Thorne’s is a farmers market, café and restaurant under one roof with a ethical and sustainable policy of working with local produce and farmers. Each one was seasonal based and had an educational message about the journey of food from farm to store to plate. I certainly learnt a lot about British apple varieties along the way… Crimson Queening anyone? Colouring in illustrations are trickier than you’d think. It took a few attempts going back to simplify and strip out detail so that a child can easily fill it in with a crayon. The client was happy with the end result and felt it represented the business well. 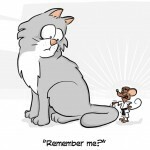 That’s the big advantage in commissioning individual artwork for your business rather than an off the shelf package.